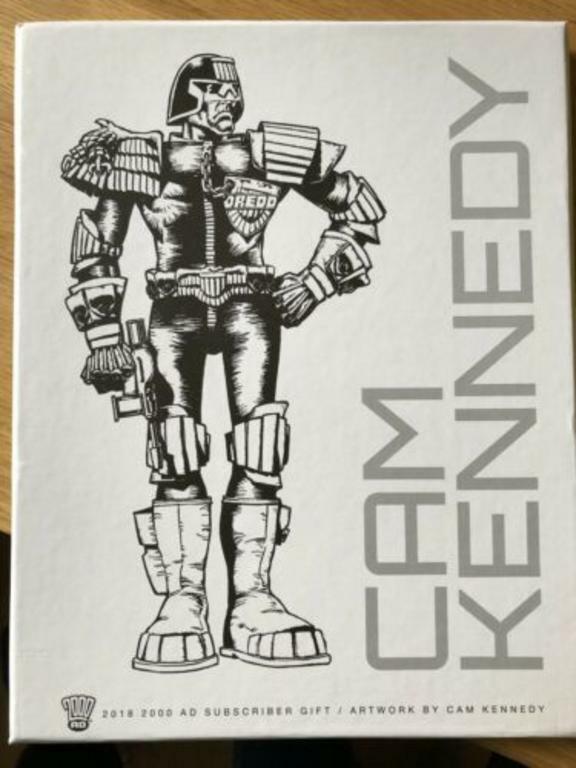 Cam Kennedy Print set and 3 more charity auctions from the Buttonman himself. Four great charity auctions all generously donated to the cause by Stephen Buttonman himself. First up the Cam Kennedy subscribers' exclusive print set. Then the second volume of Ace Trucking co from the ultimate collection. Includes the letter from Tharg that Stephen received for getting another letter in the prog. Dredd: Cold War trade paperback with another letter from Tharg! And Barrie Tomlinson's history of Roy of the Rovers: Real Roy of the Rovers Stuff. Tempted by this one myself. All are 99p starts, all are free p&p from the generous Buttonman, and all are 100% for Cancer Research UK. You know the score, make a bid, or make a share on social media. Every penny helps. And a thousand thanks, Stephen. Re: Cam Kennedy Print set and 3 more charity auctions from the Buttonman himself. Woo! These deserve to do huge numbers, thanks Eamonn! Thanks for the name check Eamonn - you are the good soul here - I'm just obeying the good lady's instructions to reduce clutter! There's a non-charity copy up for £69! These are all going great (although all are still at bargain prices!) - I put it down the the hand signed letters from Tharg that come with two of the lots. Mr Molcher himself confirmed to me that it is indeed the current shedding who signs the letters dare you deny yourselves?! All sold and posted and an additional £60 to the cause* courtesy of the Buttonman himself.